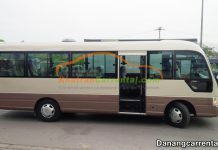 WELCOME TO KHA TRAN CAR RENTAL IN VIET NAM !!! 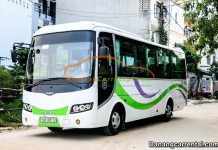 With slogan “Always listening – Always understanding – Always in service”, Kha Tran Car Rental specializes in providing Hue car rental, Da Nang car rental, Hoi An car rental and neighboring provinces such as Quang Tri, Quang Binh, Quang Nam…. 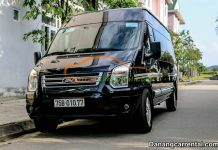 With 24/7 service with 4 seater, 7 seater, 16 seater, 24 seater, 29 seater, 35 seater, 45 seater, new car from 2014, Hoi An car rental, Hue car rental, long-term car rental, Da Nang car rental, Da Nang airport transfer, Intercontinental Da Nang Transfer, Laguna Transfer. 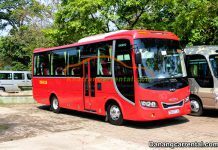 Flexible rental prices and quotes according to car type, car model and car class used includes save group, general group, and luxury group, Kha Tran Car Rental also offer low prices and incentives for long-term car rental partners. Please contact us to be quoted promptly, reasonable price and specific advices. Kha Tran Car Rental wishes to have the opportunity to serve and long-term co-operation with you.